Wonder Woman doesn't do anything small, so go big with these gorgeous Wonder Woman Super Deluxe Rhineston Cuffs. 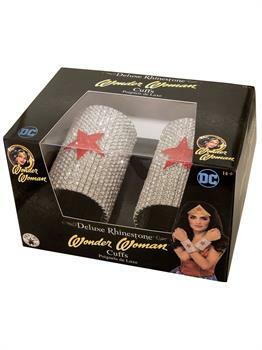 Includes a boxed pair of rhinestone cuffs. This is an officially licensed Wonder Woman product.